If you’re looking for a light salad that still has all of the warm and hearty flavors of fall, you have come to the right place! This is easily filling enough for lunch but also can serve as a lighter dinner option. 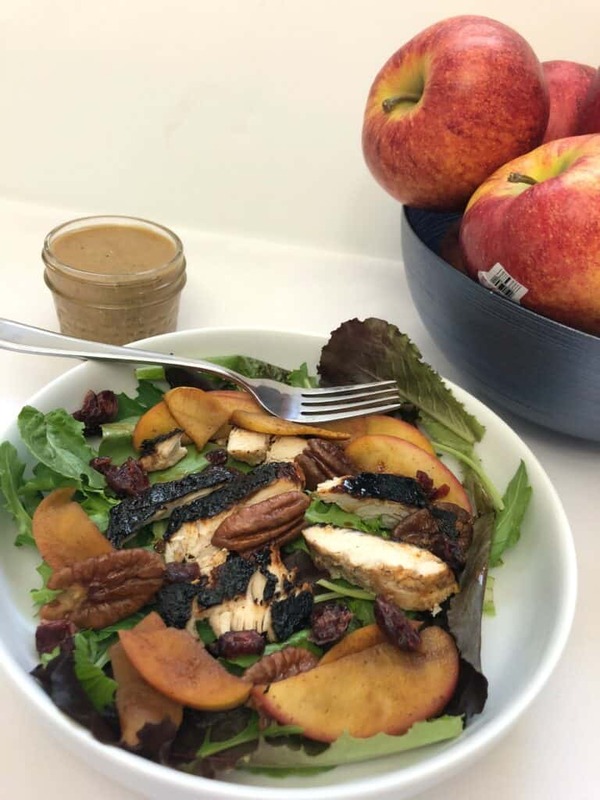 As much as I loved the chicken, apples and pecans in this dish, it’s the perfect mix of flavors within the marinade/dressing that really makes this dish come to life. Sweet and slightly acidic, it balances out the sweetness of the apples and transforms what could be boring pan-seared chicken into something simply amazing. 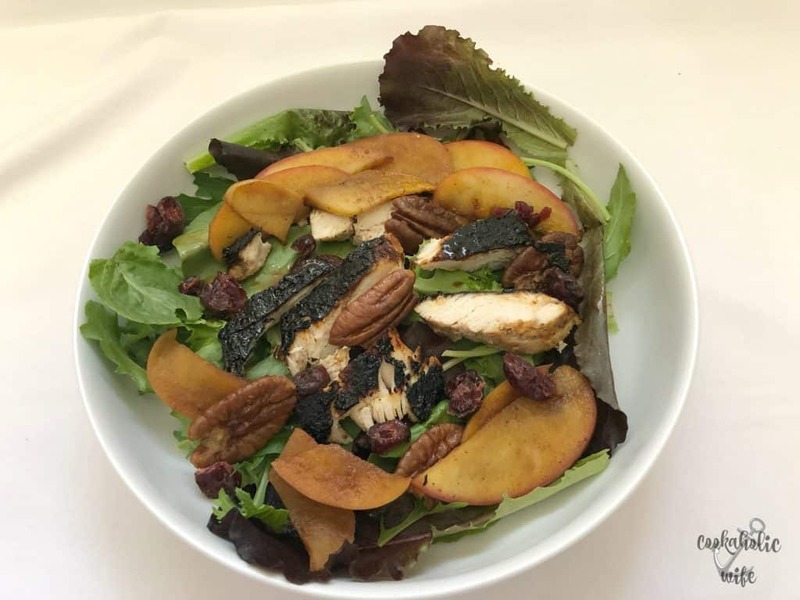 A light green salad topped with sauteed chicken, apples and pecans. Whisk together all of the ingredients for the dressing/marinade. Remove 4 tbsp to a separate large bowl. Place the chicken in the bowl with the separated marinade/dressing and toss to coat. Let sit for 10 minutes. Add chicken broth to a large skillet over medium high heat. 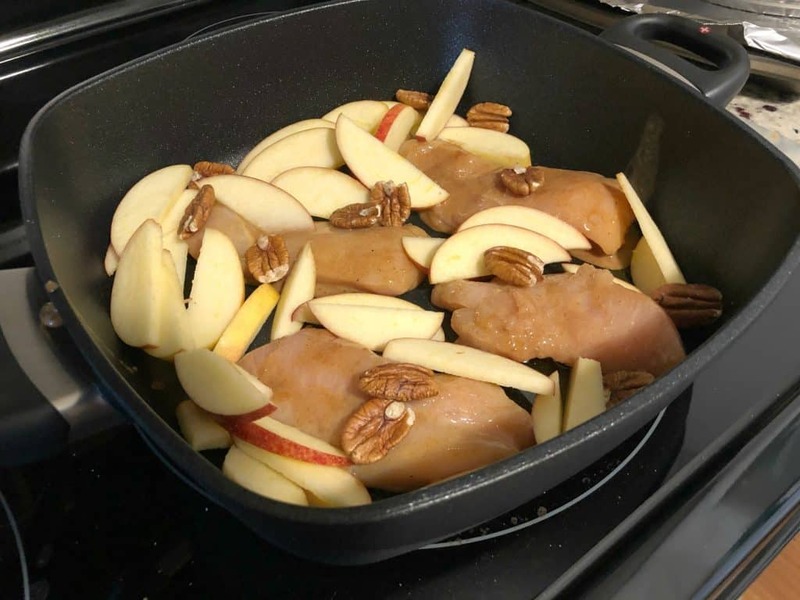 Once hot, add the coated chicken, apples and pecans. Cook chicken for 4-5 minutes on each side or until cooked through. 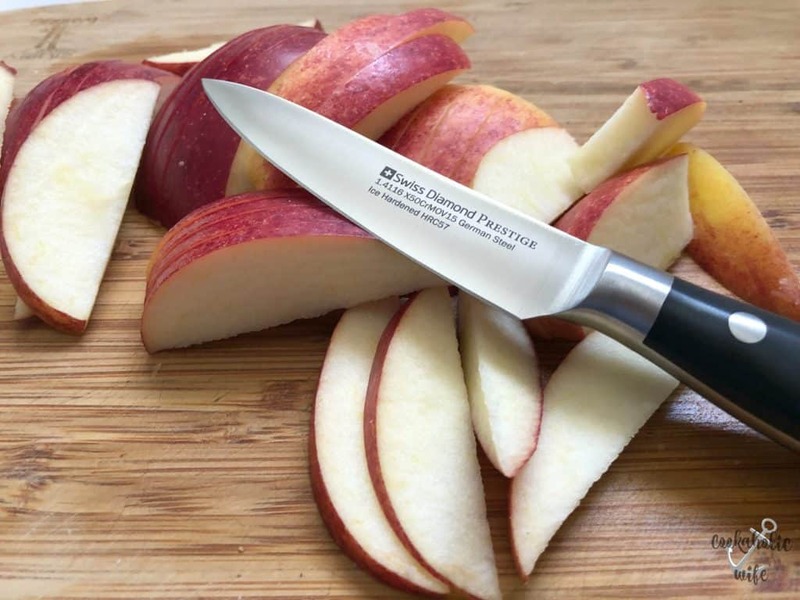 Stir apples and pecans as needed. Once chicken is fulled cooked, remove from the pan and let cool until it can be sliced. Apple Pie Spice can be made by combining 4 tbsp cinnamon, 1 1/2 tsp ground nutmeg, 1 1/2 tsp cardamom, 1 tsp ground ginger and 1/2 tsp allspice. Mixture can be stored in the pantry for 6 months to 1 year. Swiss Diamond graciously sent me their XD 5 Qt Nonstick Square Casserole dish as part of the #Appleweek event. Cooking in this dish is a breeze! I was a little concerned that the sugar content in the marinade on the chicken would make it stick to the pan, but when they say it’s a non-stick dish, it 100% is. The chicken easily slid around the dish, allowing me to make sure it cooked through perfectly. And unlike some other dishes that call themselves non-stick this was even easier to wash. A drop of dish soap and some water and the sticky marinade left in the pan wiped out with barely a swipe of the sponge. Oh, I love this. 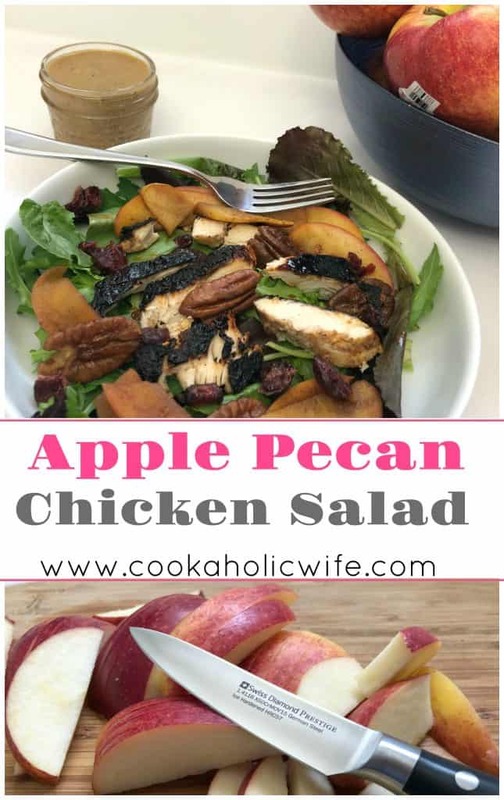 I expected from the recipe title to find a chicken, apples and pecans mixed together in a creamy base. This is my kind of salad. Thanks! I thought about doing a chicken salad like that, but then decided I wanted something lighter and a little more different. It was soooooooo good!